When Saab owners in the Kent and Des Moines area are looking for excellent auto repair services they can depend on the auto mechanics at Premier Automotive Services. Our ASE-Certified mechanics have both the technical know-how and the outstanding customer service that have customers coming back year after year. 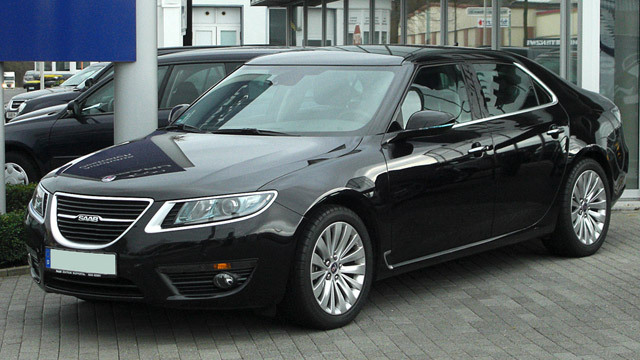 Although the Saab is no longer being manufactured, here at Premier Automotive Services, our doors are still open for service. We still see a few Saabs in Kent and Des Moines, so our auto repair technicians are very happy to take care of yours. Not so very many people can say they own a Saab, making yours unique! We think it’s cool to have a car that’s a little bit out of the ordinary. At Premier Automotive Services, we believe in honesty. We set expectations right up front by explaining the process. We do a digital inspection, send it to you, then we fix the problem. That creates a lot of trust. Another thing--we don’t push you for a sale. We’re here to report what we find and advise accordingly. You set your priorities. We’re here you, not vice versa. We take you by the hand and help you out, so you understand what’s happening each step of the way. “I went in to have a headlight replacement done for my Saab. Dan and Ryan were excellent partners in my quest to get the best service for the right price. This place has everything you should be looking for: honest technical diagnostic, proper pricing, clean and organized garage, and friendly/respectful treatment for the customer. I will bring all my business to this team. Thank you guys, you are doing things the right way.” -- Fernando D.
Our technicians at Premier Automotive Services would love to service your Saab. Our guiding principle is to take care of our customers first. Why not schedule an appointment today? We are conveniently located at 25009 Pacific Hwy S, Kent, WA 98032. Our hours are 8:00 AM - 5:30 PM, Monday - Friday.